A couple of weeks ago, Apple quietly announced a new iPad Air. This new third generation Air now features Apple's latest A12 Bionic processor, a laminated Retina display and now supports the first generation Apple Pencil and Smart Keyboard. But should you buy this over the 2017 10.5" iPad Pro? Apple authorized resellers have just launched instant rebates on Apple's latest hardware, with many models now in stock. Meanwhile, closeout devices are up to $350 off with free shipping and no tax collected in several states. Plus, grab a 13-inch MacBook Pro at $300 off while supplies last. In the last seven days, Apple has revamped its iPad Air, iPad mini, iMacs, and AirPods and also introduced new Watch bands as well as iPhone cases. If that wasn't enough, the company has also announced a big update to its entire iWork suite. Here's a round up of all the products Apple has brought out ahead of its March 25 "Its show time" event. Apple has a penchant for showing people using "naked" iPads in ads, but we all know the truth -- you need some sort of case if your iPad's going anywhere outside of the home or office. Here are some of the better case options for a 2019 iPad Air, whether available now or shipping in the near future. Apple has again launched a new iPad Air and a new iPad mini at the same time. Throughout all the previous versions of both, they have represented the best balance of price, specifications, and portability. Hot on the heels of Apple's 2019 iPad Air and Mini announcements, a Geekbench ranking has appeared for one of the tablets -- though it's uncertain which. Apple has introduced new versions of the iPad Air and the iPad mini, plus it's removed one of the iPad Pros. This leaves the lineup ranging from $329 to $999 for the just the base models, but it's also made the buying decision a little more involved. AppleInsider explains how to balance getting the most features for your budget. Capitalizing on the launch of new iPad Air and Mini tablets, Apple on Monday released matching Smart Covers in varying colors and materials. Apple has quietly retired the 10.5-inch version of the iPad Pro as part of its iPad shakeup, following the launch of the 10.5-inch iPad Air, a move that now leaves the 11-inch and 12.9-inch variants as the only two sizes of iPad Pro models available to purchase. Apple has revealed its latest iteration of the iPad of 2019 in the form of the iPad Air, with the latest version of the "budget" model retaining Touch ID and a specifications bump, but also seeing the signature 9.7-inch display changed for a 10.5-inch version. April 3 marks the eighth anniversary of the iPad's launch and first shipments -- and that day brought a product that has revolutionized the definition of a tablet and seen great success. 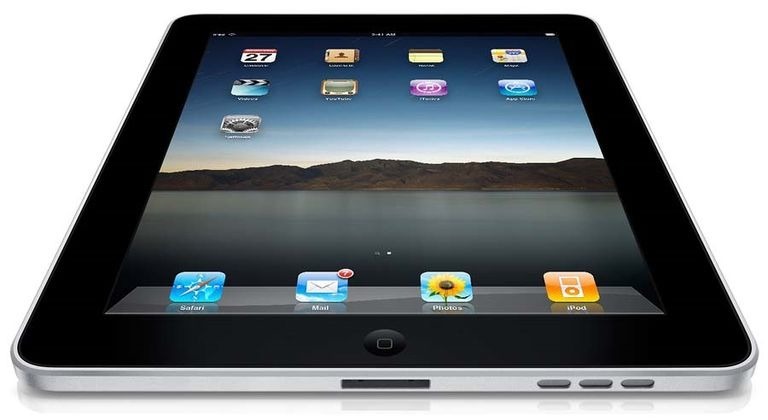 But, the iPad has struggled with its identity in recent times in view of bigger and more powerful smartphones. The launch of a new iPad is usually followed by users deciding whether they should update to the latest model, or to continue using their existing iPad and save money. AppleInsider compares the new 2018 iPad against last year's release and the iPad Air models to decide if it's worth making the upgrade. Apple's new 9.7-inch budget iPad is in many respects the original iPad Air with a few key upgrades to keep it relevant in 2017, according to a teardown published on Thursday.